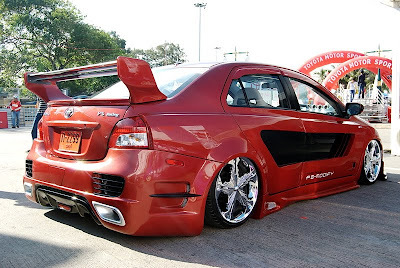 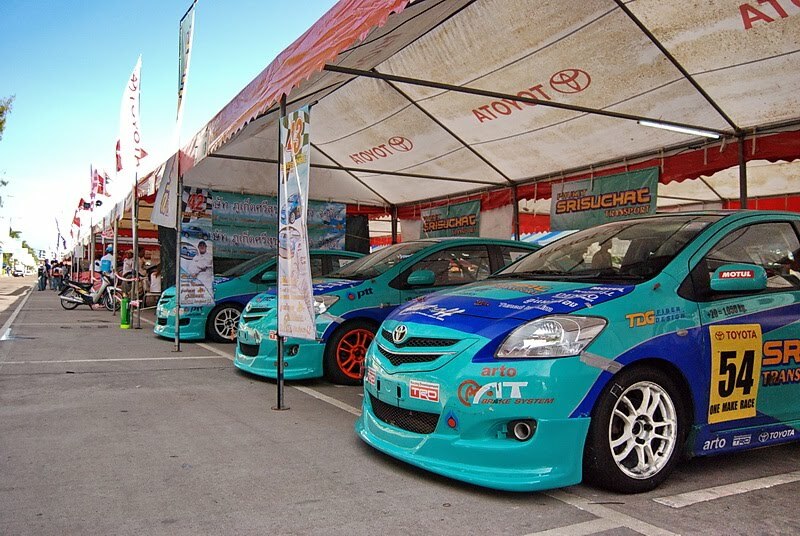 Below are photos featuring different Toyota Vios which were modified for car show purposes. 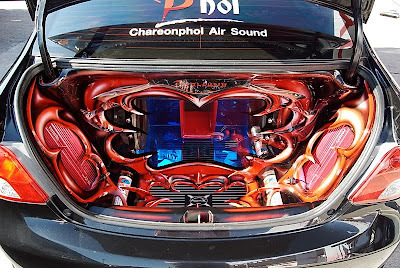 All the cars were heavily customized from top to bottom, and from inside to outside. Different cars were modified with different Toyota Vios body kits, such as wide body kits, TRD body kits and some weird body kits. 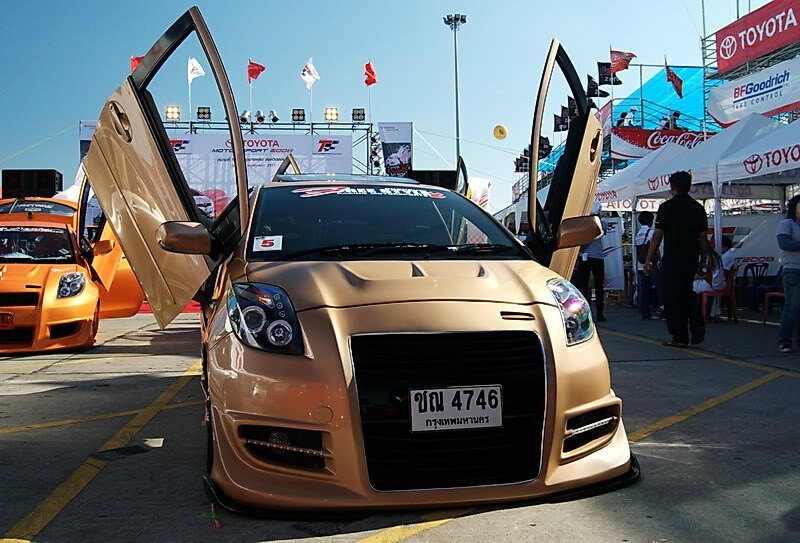 Love this front body kits and the custom paint job, except that it is a little bit too low to drive in Malaysia. 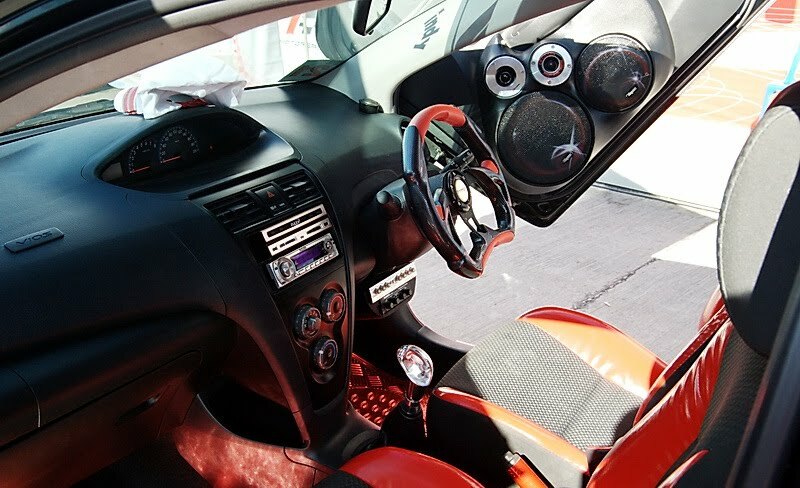 Still can't figure out what is the car audio system used in this Toyota Vios. 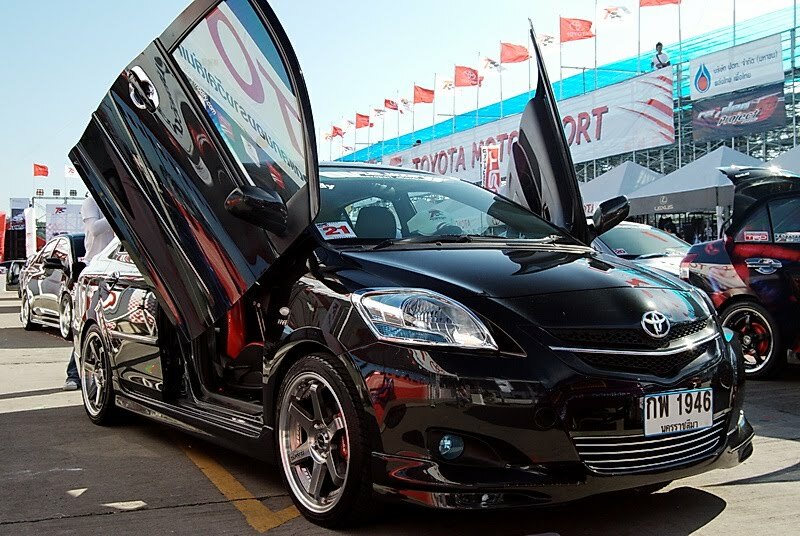 Minimally-modified Black Vios, except for the sports rims, the door and the grill. Black Vios with Spider Man theme. 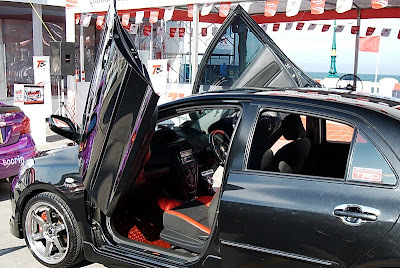 More photos coming soon, will feature on Honda City, Honda Civic, extreme modification too.